Sometimes simpler is simply better. That must be the motto over at Cofax Coffee, a tiny footprint of a coffeeshop in the middle of Fairfax Village district. 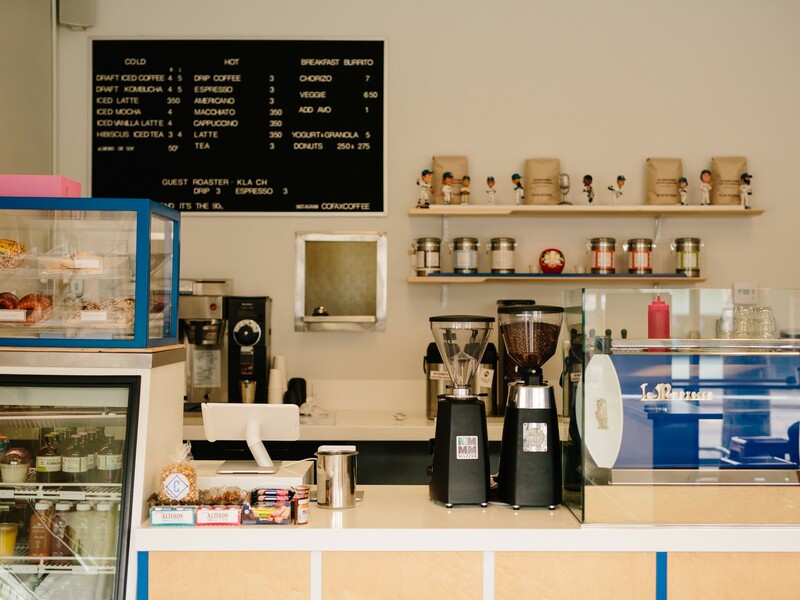 Opened in April 2014 by the same guys who brought us those Golden State burgers three doors down, Cofax was established under the premise of bringing solid, quality coffee to a part of town that oddly needs it. And don’t get us wrong, Cofax’s coffee (brewed with those Stumptown beans) is fantastic. But thats not why you go to Cofax. You come to Cofax for three words: the breakfast burrito. And it’s no surprise, it’s the only dang thing on the menu. Within a couple months of opening, word of the Cofax breakfast burrito spread like wildfire and before long, it was being mentioned as one of the very best in the city. And frankly, we agree. A simple anatomical evaluation will tell you its the crispy potatoes stuffed inside that give the Cofax version it’s most unique quality. And though they do offer a delicious vegetarian option, the original chorizo-filled version is the way to go. But keeping that all in mind, its the overall high quality of every ingredient inside that allows for this often-heavy dish-on-the-go to feel indulgent yet reasonably light all at the same time. The fact that you don’t feel the need to die a slow, sweaty death on the couch immediately after is truly a beautiful thing. And your Sunday afternoon thanks you as well. It might not be every day that you wake up with a breakfast burrito on the mind, but it should be. And then you should head to Cofax, walk up to the counter, and indulge in this young, glistening addition to our city’s burrito elite. Living 100% up to the hype, this burrito is hearty and satisfying all while staying light on its toes. It’s got a unique crunch provided by the crispy potatoes and the chorizo is cooked perfectly with that slight kick of heat one seeks. Vegetarians are invited to the party as well with their delicious chorizo-less version.